A medical professional such as a dermatologist would remove skin tags by cauterizing them or burning them off, freezing them off using cryosurgery or using a ligature to cut off the blood supply before using a scalpel to take the tag off. These procedures are routine and safe, but involve a visit to your family doctor or a hospital and of course the time and expense that entails. Some people try to remove their tags at home using nail clippers or scissors, but these methods can also be painful and can cause bleeding. The home removal methods using sharp implements can also lead to infection in the area or scarring. Skin tags are nothing new, and for centuries man has found other ways of dealing with irritating tags on the skin. One of the most tried and tested methods are removal using castor oil, which has long been known for its healing properties and is also used in the removal of warts. Using the castor oil method will take longer than the surgical methods outlined above, but are painless, involve no bleeding and have a much lower risk of side effects. It’s also very cheap and easy to do t home. The first step is to make sure what you have is indeed a skin tag, and not a wart or something else. If in doubt, seek medical advice. Once you are sure that you are dealing with a skin tag, you are ready to treat it. 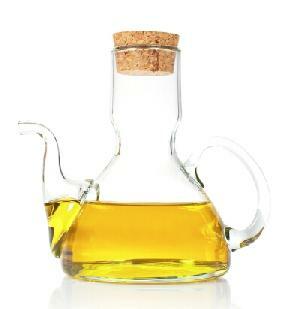 In a small bowl or pot, mix up some castor oil with some baking soda to make a stiff, gooey paste. Spread the paste onto the skin tag then cover the area with a Band-Aid to stop the paste drying out too quickly or coming off on your clothes. Repeat this process three or four times per day and eventually you should see the tags starting to dry up and drop off. The process usually takes around two weeks to complete, as long as the paste is applied on a regular basis. You can keep the castor oil and baking soda paste in a small tub in the refrigerator for up to 48 hours so there is no need to keep making up a fresh batch.